Weekend workshops can be tailored to your needs in your guild’s venue over a two to four day period, and classes are also offered for local, national and international Conferences in half week and week-long formats. Jan 22 to Feb 26: Blackletter Part I; Tues, Thur; 1:30pm – 3:30 pm. Mar 5 to Apr 4: Blackletter Part II; Tues, Thur; 10 am to Noon. Feb 24 – 26, 2019 – San Antonio TX. 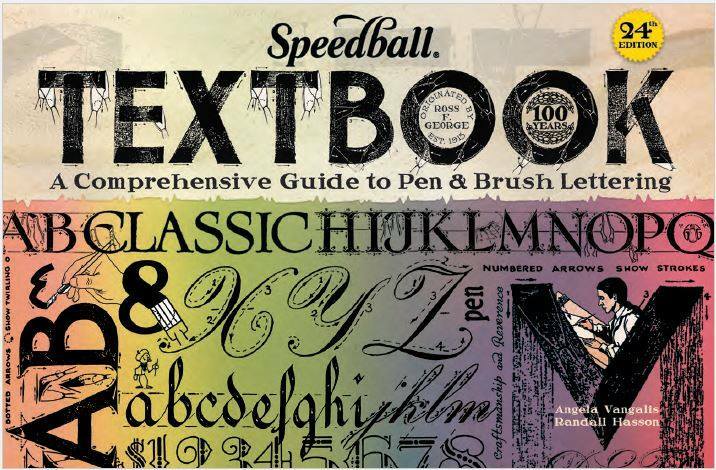 Speedball Product Demonstrations: NAMTA –Art Materials World 2019: Escoda Brushes, Fluid Watercolor papers, Arnhem paper, Hand-Book Journals, ArtGraf soluable graphite, Calligraphy and Lettering. June 18-20, 2019 – Las Vegas NV. Trade Show Demo: Calligraphy, layering and lettering with Golden Hi Flow. April 8-10, 2016 – The Washington Calligraphers Guild, Washington, DC. February 18-22, 2015 – Laguna Beach Retreat Center, Panama City, FL. Feb. 15 – 18, 2013: – Pomona Ca. Art Store Demo, “Journaling with Calligraphy” – 1:30 – 3:30pm – Artisan, Santa Fe NM. Evening Program: “Canvas techniques” – Fort Worth Calligraphers Guild. Class Demos: “Acrylic techniques and Calligraphy” – Doreen Barbee’s Art Classes, John D. Horn High School, Mexquite TX. Workshop: “The Layered Journal” – Fort Worth Calligraphers Guild. Lecture – “The Baron Journals ” – Jaycee Park Center for the Arts – Fort Worth Calligraphers Guild.